Summary : Learn the History of the News! 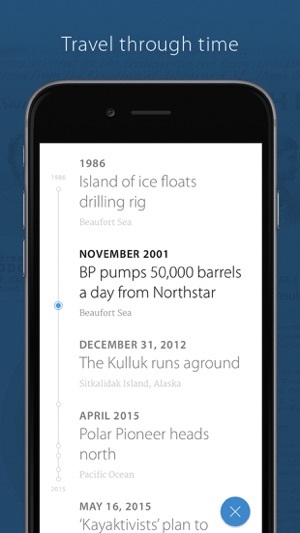 Timeline—News in Context lets users browse news topics and then explore the history behind them. To start, users can tap the “profile” icon on the top right of the home screen to register. (Registration is optional.) Next, users can browse the “Today’s Edition” or tap the “lined” button on the top left of the screen to view the edition by sections, which include Front Page, US, World, Technology, Editor’s Picks, and Science & Environment, among others. 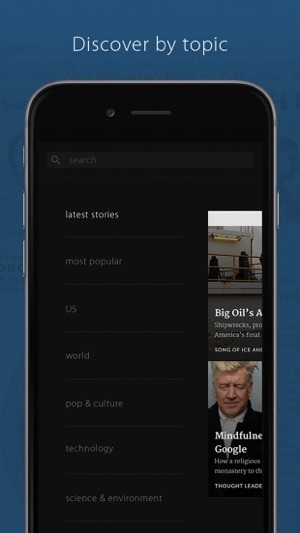 When users find an article that interests them, they can tap on it. Next, the app will present them with “The Brief” that summarizes the topic and then presents a series of articles that traces the history of the topic. The history starts with articles, videos, and images from furthest back in history and progresses toward the present, and the information is presented in such a way to provide users with a historical context of the topic. Users can share the articles over email and social media. Plus, if they register, users can bookmark the articles. Users can also access this information from the app’s website, https://m.timeline.com/#!/. Teachers can use this app as a bell-ringer activity to start class. To do so, teachers can allow students three minutes to find a topic of interest. 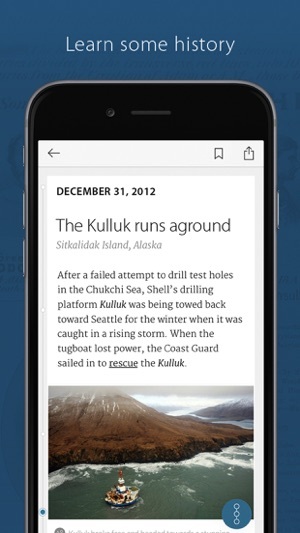 Next, teachers can have students read The Brief and the other information included in this app about the article. Lastly, students can journal a response to the information they read, and sample prompts include: (1) What makes this topic interesting to you? (2) What are some of the most important moments in the history of this topic? (3) Compose a summary of the most important information pertaining to this topic. (4) What makes this topic relevant? (5) Explain if this topic should be taught in schools. After completing their journals, teachers can have students share by calling on them. Or, teachers can have students post their journal to a class website so other students can read and respond to them. Students can pick a topic to research using this app. To do so, teachers can allow students to browse the articles in this app. Next, teachers can require students to pick a topic they saw. From there, students can read about the topic in this app to gain ideas for further research. Lastly, students can outline their research presentation using the PureFlow or iThoughts HD apps. Students can read about a topic and its history in this app. Next, they can further search for information about the topic by entering it into a search-engine app, such as All Search Engines in One or Search 22. 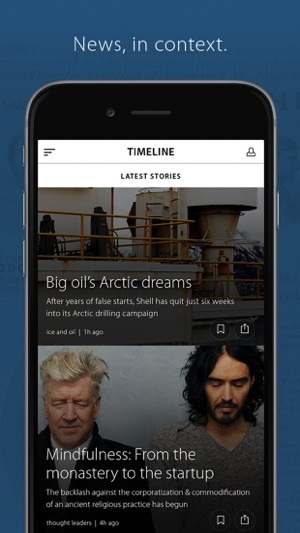 They can browse the information reported back about the topics from the search-engine apps and cross-reference that with the information found in the Timeline—News in Context app. If students find information that they think should have been included, they can summarize it and explain why it should be included.